By day most of you may know that I am a professor, a community health professor with a focus on health in Africa. By night, well I am a style blogger, in a perfect world, I would combine both together, because it’s not one or the other, fashion is just as important as health for sustainable development in Africa. I have been away for two reasons. 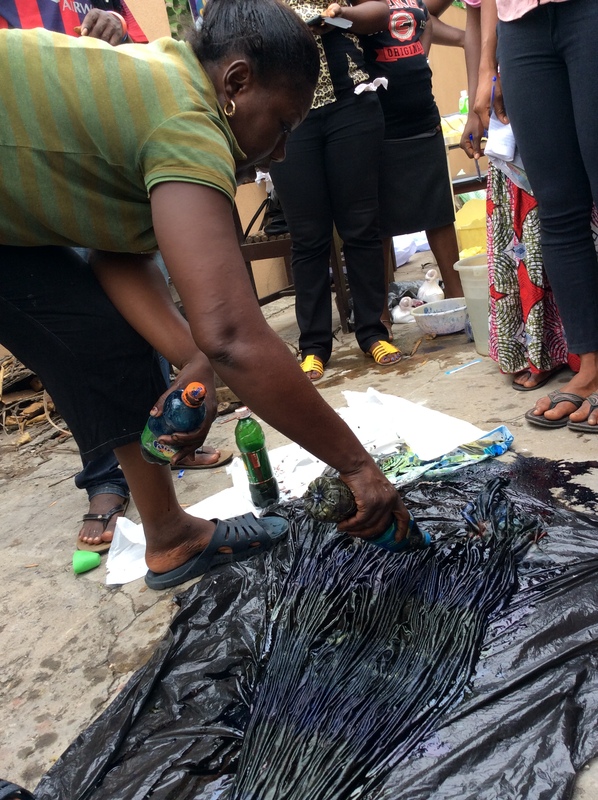 The first (see future post for the other reason), I went to revisit a skills-building initiative I helped to start 5 years ago in Lagos Nigeria. It’s so amazing how time flies. Honestly, this was probably one of my best trips to Nigeria because I got a chance to witness first hand how far the organization has come full circle, all from a simple idea I shared with them. But anyways, in my observations also, I noticed, that though it was 5 years old (since it became a 6 weeks workshop), it is actually 10 years old. This organization has been providing skills building since 2005 (as a one day) and I only resurrected it in 2010 as a six week program called Project Sustain. So why skills building or what do I mean when I am saying skills building. Unemployment is extremely high in Nigeria. Every year, according to official statistics, some 4.5 million of the Nigerian population enter the labor market, most of whom are young jobseekers. Yet, only 10% can be absorbed because employment growth is not fast enough to include those looking for employment. Even the World Bank estimates that national youth unemployment rate is 38 percent, both in urban and rural areas. 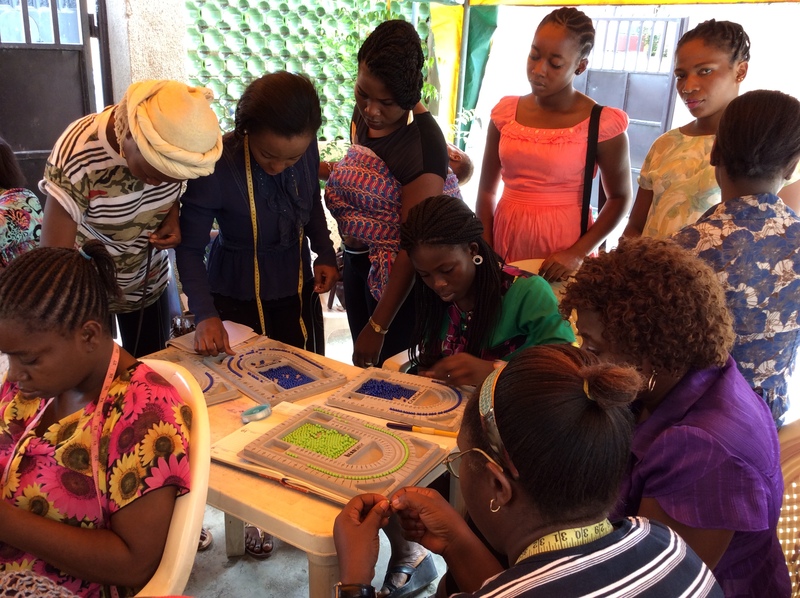 The idea of a skills building initiative grew out of the need to address youth unemployment in Nigeria. I worked with Morning Star Humanitarian Services (MSHS) to develop (or resurrect) Project Sustain which seeks to provide a skills building workshop to unemployed youth living in Amuwo Odofin Local Government Area. 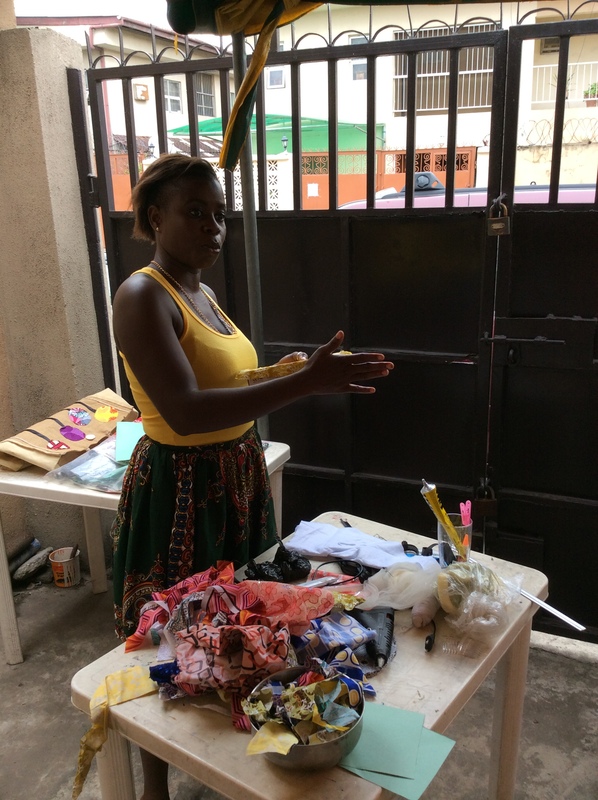 Some of the skills provided are: bead making, tie and dye, arts and craft, catering, sewing, screen printing, book binding, soap making, interior and exterior design, makeup classes, and computer training. The workshops are free for all participants and all the materials needed are provided with no cost to them. I spent a week with the organization and I must say they have come a long way.I especially loved the motivational talks at the start of each project as well as feedback held on a daily basis with participants as it built a sense of shared ownership with this project. It also enabled participants to voice their opinions on ways they themselves could work together to effectively address their needs. This strategy coupled with one-on-one interactions, also enhanced participant commitment as they felt that MSHS was interested in their success, not just on a group level, but also as individuals. In addition, delegating tasks to different people including selecting participant workshop leaders enabled MSHS to keep track with the progress of each participants and the workshop. I could go on and on but here is the best part of my experience, these participants are all part of a social network where vital information on life in general can be shared. I witnessed this first hand and all I will say for now is that this experience has greater implications for sustainable development for sub-Saharan Africa whichever angle you choose to follow. I know the angle I am following, so do stay tuned.